Native species of plums are found in most of the world’s north temperate zone. Of these, certain varieties of the American species, Prunus american, are productive, although their fruits are small and are too soft to be commercially valuable. Early settlers brought the European plum, Prunus domestica, to the United States, and today California’s dried prune industry is based on varieties of this plum. Some European varieties are grown for fresh shipment, but their importance is diminishing. The term plum refers to varieties belonging mainly to the Japanese plum group, Prunus salicina, used for fresh consumption and not for drying. Plums are also used for canning, freezing, and jam and jelly making. 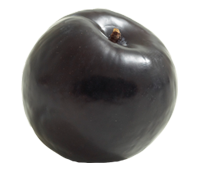 Prune refers to plums dried whole without fermentation at the pit and characterized by a high sugar content. Prune-type plums are used primarily for drying, but some varieties are canned or shipped to fresh markets. Like the peach, the Japanese plum is native to China, but was domesticated in Japan 400 years ago. It was first brought to California from Japan in 1870 and grown by John Kelsey, a nurseryman from Berkeley. Horticulturist Luther Burbank played an important role in the development of plum varieties in 1885, when he imported about 12 seeds from Japan. He hybridized them with other species and achieved many varieties, some of which are still grown in California. Nearly all current cultivated varieties are derived from those developed by Burbank. Today, the Japanese plum is grown in California entirely for fresh shipping. The industry has grown throughout the state, but it is now concentrated in the central San Joaquin Valley. In fact, most Japanese plums grown in the United States are grown in California. 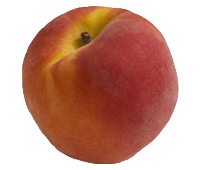 Pluots are a hybrid of plums and apricots created through careful cross pollination. Hybrid fruit is a product of cross pollinating two plants of the same species. Horticulturists naturally breed plum and apricot plants in a consistent combination that produces a sweet, intensely flavorful fruit. 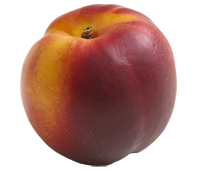 The pluot bears a strong physical resemblance to plums with a smooth skin and medium size. Pluot varieties grown by SunWest include Dapple Dandy (yellow skin color with red mottling and creamy pink interior flesh) and Flavor Grenade (green with red blush and oblong shape).